The dissertation abstract is a brief document which describes the dissertation's argument and content in an engaging, succinct manner. The writer of the abstract must clearly describe dissertation’s overall contribution, particular discussions, specific chapters and the analysis that they articulate as well as any major text used if the dissertation's focus is a literary one. The writer should also clearly indicate the dissertation's placement within the writer's particular field or area of interest. The main goal of the abstract is to cause members of the advisory committee to become interested in the presented materials, the used methods and the manner in which they are being presented. A description is one's key opportunity to distinguish oneself and the quality of work. It is a chance to demonstrate student’s critical thinking skills. A successful dissertation abstract aids the committee in thinking of the writer as the person who has the potential for professional credentials in his/her field of interest. The rationale for the research should be the problem that is being addressed in the dissertation. The study's significance should be stressed. The writer should focus on the primary theories that underpin the dissertation. The writer should also stress the components of his/her research strategy. Ask dissertation director and at least one other expert in the field of interest to read the abstract and offer comments. The dissertation abstract will represent the basis of writer's future project descriptions, so it should be carefully written with much time devoted to its development. It can be used later for possible grant applications and as the basis for an academic book proposal, so it is an important part of the dissertation. Not all structural components are used in dissertation abstracts. Their use depends upon the type of dissertation being written. However, each one of them has the goal of helping the writer summarize the important elements contained in the dissertation, ranging from addressing the problem to the significance of the research. One's argument should be presented in general terms that are suitable for an introduction to the writer's project. Go easy on the minute details. These can be tiresome for the reader to take in. One should not expect the readers to be as familiar with the topic as the writer is. Do not use specialized vocabulary. This includes technical language. The writer should demonstrate his/her sophistication in the field. The abstract summarizes the results of extensive research that has been conducted. Writing the abstract may seem overwhelming since it is an intensive task that involves giving a description of developments in one's research as well as how the dissertation research is distinct. This entices readers to feel obliged to read further into the body of work. Once the dissertation has been completed, the writing of the abstract should transpire in order to summarize the dissertation's content in as brief form as possible. Another part of writing an abstract entails one's research methodology. Mention of proposed ideas to resolve the researched question in the abstract. Pointing out the particular theories related to one's dissertation. Short introduction of dissertation's chapters and the information they will be explaining. Keep the language simple. One's dissertation abstract should make sense independently of the dissertation itself. 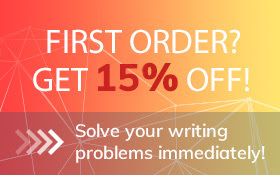 If problems arise during the composition of the dissertation abstract, the professional writing teams at Top-Dissertations.com are available at all times to assist.